Reviews of Solid Rock Auto Group | See what our customers had to say! Read what some of our customers have said about their purchasing experience at Solid Rock Auto Group in Garrettsville, Ohio. To learn more how we can help you, please give us a call at (330) 527-4444. I've bought several automobiles from this dealership several for my children and most recently a 2013 Jeep Compass for myself. Always a fair deal and a friendly smile. I've purchased several vehicles over the years from this dealership for my children and myself. My most recent purchase was a 2013 Jeep Compass. I couldn't be happier. I have recommended this dealership to friends as well who have purchased cars from here they were all happy with their purchases too. Great local family business! Worked an incredible deal on an awesome truck. Highly recommend. My husband and I just want to Thank you all for the great service you gave us. We told you what we were looking for and you found it. You made it happen. We couldnt be any happier. We will be sure to tell all our friends, family and anyone else whose interested in buying a vehicle. Thank you so much again. We will be back to buy more cars in the near future. Absolutely amazing staff, great clean environment and super friendly! Mom loves her new Ford!! Such a great place and will be back again!! Dan has an amazing selection of vehicles for a great price! Definitely worth the hour and a half drive! Great family ran business. Not your typical used car lot. Very clean, professional, courteous, and friendly environment. We will definitely be back when the need arises again for another vehicle. By far the best experience we have had buying a vehicle. Well worth the drive. Thanks again! Found what I needed, fast and easy service. Silas was very personable, polite and understanding. Nice selection of vehicles. Excellent experience. I highly recommend Solid Rock for your vehicle buying needs. Excellent service and fair dealing. You cannot ask for more. Love my Ford Mustang convertible. Repeat customer! If you need a car or truck this is the way to go! Will continue to buy from solid rock! Very helpful in letting you know everything up front! My family and I are very happy with them. They treat you like family and they are honest with you. We have bought 7 cars from them and we have been happy with each one. I would recommend going to them to get a vehicle. Once again Solid Rock Auto Group exceeded my expectations. I am a multi repeat customer who refuses to shop anywhere else. I went with the intention of purchasing a 2013 Ford Escape and left with a 2013 Subaru Legacy Outback. Dan noticed the escape had some issues so he refused to sell it to me. I’ve been to many used car dealers in the past but none were as honest as the guys at Solid Rock. Thanks to Dan and the staff for once again making me a satisfied customer! Went to look at a specific car from their website. They had it and I purchased it. The whole process was quick and easy and I love my car. Very happy! Dan and his sons are amazing! Contacted me very quickly about the vehicle I was interested in. They help you get what you want and stay within your budget. I definitely recommend contacting them first! Dan did a great job finding us a used truck within our price range and with what we wanted. He was professional, honest, and no pressure. He answered all of our questions and it was the best experience buying a car in my life. The next time we need a vehicle Solid Rock will be our first choice. I will recommend him to everyone I know. We went there to look. Found exactly what we wanted and with the help of Dan and his sons we were able to buy it. He went over and beyond to help us get what we wanted and made buying a car go smoothly. I would recommend going there before any where else if you are looking to buy your next vehicle! Never had a smoother car buying process than I had with Solid Rock Auto Group. I was able to get the car I wanted, pretty much at the price I wanted to pay without any kind of pressure to buy. I would not hesitate to purchase another vehicle from here in the future. Thank you Silas! Dan and his son Silas at Solid Rock Auto will take care of you as if your their own family. If it isn't right, they will make it so. All cars come with 90 day warranty. BRILLIANT! Don't get taken by dishonest dealers! Dan and Silas at Solid Rock auto are excellence in customer service and quality! Let them take care of you today! Omg!!!! I love my Charger!!! After finding the car of my dreams on CarGurus I began to email back and forth with Dan and Silas about the car! Once arriving... Awaiting in the garage was my beautiful car!!! Just as told everything looked great!!! Easiest people to get along with!!! Didn't try to over sell or give me some bull s*** story!!! Definitely worth the 7 hour drive!!! Definitely will be coming back to upgrade in the future!!! As a first time buyer Dan really helped make sure I understood everything. He gave me an amazing deal, made the process as easy as possible and was very patient with me. I wouldn't go anywhere else! Dan was friendly, knowledgeable, and honest. It made for a smooth experience and made us feel comfortable. We would definitely come back to buy another car in the future. My husband bought his truck here, and any issue he had, they helped him out with. They really go above and beyond for their customers! When i first purchased my car from Dan he asked me if i was interested in a dealer warranty, little did i know I’d be using it earlier than expected. A light came on my dashboard the day after i got an oil change i was upset so i took my car to Auto zone to see what the light was , it was a very small and minor problem. I called Dan and he set me and appointment up and told me it should be covered under my warranty . He had my car done within 2 days , and gave me all brand new tires , checked my fluids and fixed the orgingal problem to begin with . He went above and beyond i am very satisfied with the work he’s done and the caring man he is . I’d definitely suggest him to anybody thinking of buying a car , he’s honest up front and understands stuff happens . Thank you Dan and Solid Rock . I've purchased two vehicles now from Solid Rock Auto Group and there's a reason I keep coming back! Phenomenal service, they make the car buying process a breeze. The staff is VERY helpful, on the ball with anything you may need. They go out of there way at Solid Rock Auto Group to make sure you're leaving there with a smile on your face. I recently purchased a 2014 Chevy Malibu and I am EXTREMELY pleased with it. If you're looking to purchase a vehicle look no further, Solid Rock Auto Group is the place to see! They have a large selection. They are VERY professional too. You will not be disappointed! This is truly a professional auto dealership. They have a wonderful selection of all types of vehicles. The staff is helpful honest and courteous. We visited over fourteen dealerships in search of the right Mustang GT this was the best dealership with the right vehicles. I would highly recommend this dealership to anyone without any reservation. Thank you for a great car. This is a truly professional auto dealership. They have a wonderful selection of vehicles from trucks to family cars to sports cars. The staff was courteous and went out of their way to answer questions, be accommodating, and give full disclosure of the vehicle's history. This was without reservation one of my best car buying experiences. I would highly recommend this dealership to anyone without any reservation. My wife and I have bought several cars over the years from Dan and Silas at Solid Rock Auto. It is always a wonderful, easy experience. Dan is very knowledge, helpful and most importantly honest. Looking forward to working with Solid Rock Auto Group for many more years to come. Bought my second used car from Dan. He is a nice guy. Easy to do business with. Has a great inventory. Plenty of good cars to choose from. For the past couple of months, I had been searching for a specific car in the right price range for my budget. Solid Rock had what I was looking for. Took it for a test drive, made an offer and sale was agreed upon in less than five minutes! Picked up the car a few days later. Happy with the way I was treated by Dan and Silas. Happy with the price and so far, happy with the vehicle. Why does purchasing a vehicle have to be complicated? It doesn't. Dealing with Dan and Silas @ Solid Rock is proof of that. We found the vehicle on the website. Very accurate and well described vehicle description which I appreciate greatly. Super friendly and easy to deal with! The easiest vehicle purchase I have ever hadn't ! Will definitely be a return buyer! Thank you for everything Solid Rock Auto Group !! Just like car dealerships used to treat the customer, with honesty, reliability, friendliness, and no pressure to buy. I recommend this dealership to anyone that needs a good vehicle without the hassles and run around. I love the truck that I recently purchased from them. Fantastic sales. Never felt pressured. Very helpful with the finance process. Would completely recommend to friends and family. Solid rock auto group made me feel like family. They gave me a chance for a new car when no one else would and made the process very easy. My experience with Solid Rock Auto Group was awesome! Being a first time buyer I wasn't really sure what I was doing or what I was getting myself into, but Dan did an amazing job laying out all of my options for me and not pushing me to make a certain decision just so he could make a sale. The vehicle I decided to get needed a new windshield and he replaced it for FREE and also worked around my schedule to make sure it got done! Dan is a straight forward, honest guy that won't do you wrong, and I love the vehicle I received from him. I purchased a truck a week and a half ago from solid rock and I got to say it's by far the best dealer I bought from and dealt with. Dan was honest and fair with the whole deal and their prices are very reasonable. Their customer service is on a level you don't see any more these days in the car buying world. I'd go back in a heart beat and would refer any one to him. Thanks again! I recently purchased a truck from Solid Rock. Great people to deal with. No games or gimmicks just an honest dealership. It's worth the drive and I'd go back again. A great place I have purchased 2 vehicles from here and have no complaints! Great father and son team here! I recommend anyone to come here for a great quality vehicle! Just when you think that every used car salesman is dishonest you come across Dan at Solid Rock. After an exhausting week of looking for a good used truck we stopped in and right away we knew we had found the right place. It's been about 4 or so months since my brother Kevin & I drove home in his beautiful black Ram and he couldn't be happier. Do yourself a favor, do your research then go to see the best Car Guys around. You won't be sorry!! Great car buying experience. I would definitely recommend taking a drive out to see them. I was completely surprised at how well I was treated during the car buying process. They are good people ....no games! Really enjoyed it. Which no one says about buying a car. Treated me right really fair deal. Love the truck. Great service ,great people, and great help!! family has been going to him for the past several years and we are all very pleased with his service and the vehicles we have gotten! got me out a truck 4 other dealerships couldn't. strongly suggest stopping in and seeing him! I was looking for a nice used car and almost didn't make the 45 minute drive to Solid Rock Auto Group because of the distance. I'm so happy that I did! This was the easiest car buying experience I have ever had. Everyone was a pleasure to work with...no pressure, no games and very accommodating and nice! Make the drive, it's worth it! First let me say I hate the car buying process. Solid Rock Autos web site is very easy to navigate and eliminates the hassle to deal with salesmen. Once I contacted Dan at Solid Rock that was not the case at all. He was a no pressure hassle free man who offered to stay past closing time for me to come drive the truck after I got off work, and bring inside to look at closer out of the rain. We sat down after the test drive to do paperwork and the next day I came back to pick up truck to take home. Dan (Solid Rock Auto) made the purchase of a pre-owned vehicle quick and simple, I can see purchasing another vehicle from this company in the future. We went to Solid Rock to look at a specific SUV that we had looked at online (at some places they don't have the vehicles listed on the website this is not the case at Solid Rock. The day we went it had snowed overnight and the first thing that made us say this is a great place is that they were plowing the lot and not like most places they were moving every vehicle and plowing everywhere, so that when you went to look at or get into a vehicle you were not standing in a foot of snow. To some this may not seems like a big deal. But it shows the level of service and how customers are treated if they did not care they would not bother. We looked at and test drove the vehicle we had gone to look at. We really liked the suv and purchased it that day The owner handled everything, we did not get bounced around or have to play the waiting game while a salesman "talked to his general manager". He made the entire process smooth and it did not take half the day we were only there about 2 hours if that. We highly recommend Solid Rock they are hands above all other used car dealers. Showed up, test drove a car I liked in the web site, said I liked it and would be back on Saturday. When I showed up on Saturday the car was gased and ready to go, in and out less than an hour. Best car buying experience ever. Ind I've bought a lot of cars. Best car-buying experience I've ever had. Just went to look at a truck and ended up driving it home the same day. There's no pressure to buy and the prices are very reasonable(something lacking from most other companies). Silas was very helpful and upfront even telling me about an issue with the truck that I hadn't noticed. He also got me financed and driving home the same day even though it was late Saturday and most banks were closed. They do business how business should be done. Solid Rock will definitely be my first choice for any future vehicles. Highly recommend. I didn't feel rushed to make a decision when i bought my truck. The staff was friendly and answered my questions thoroughly. I will definitely consider buying from them again amd reccomend them to anyone looking. Loved it here! Awesome staff and I enjoyed looking here. Bought a 2010 wrangler and couldn't be happier! Awesome service, very straight forward and willing to help you out. Much better experience than any other dealer I've dealt with. A+++ in my book! We purchased a minivan from Solid Rock Auto Group in April 2016. We had a wonderful buying experience! We found the van listed on Craig’s List and called to inquire more about it. Dan was so helpful that we decided to make the drive to his dealership. Even though it was almost two hours away it was worth the time. We were treated very well. He was honest and did not pressure us into buying. His knowledge of his inventory was impressive. The waiting room was comfortable and clean. We ended up purchasing the van that same day because we received a good deal and traded in our car. He offered a free warranty on the van for major repairs for a limited time. The next day he called to check on us and we informed him that the rear wiper was not working. He immediately ordered the part and had it sent to our nearest auto zone store. We will defiantly be a repeat customer and refer ALL our family and friends to shop at Solid Rock. by Dana | Our family has bought 5 vehicle's from Solid Rock over the past 7 years, very satisfied! We recommended several friends and other family members who also purchased from Dan, very upfront and honest! Friendly! by Melissa Byler | Solid Rock Auto Group provided the best service I have come across anywhere. No pushy salesperson, quick, friendly service. The car we bought was exactly what he promised! I couldn't be happier. I will never shop for a car ANYWHERE else! by Kostas Frantzis | Was in the market for a used truck for a while. Every time I talked to a car dealer, it was like they didn't even want to do business with me. I thought I would never find what I was looking for. Until I found Solid Rock Auto Group. I called and talked to the owner Dan and as soon as I got off the phone, I knew this was it! Was very polite and willing to work with my price range. He went above and beyond to get me any information I had requested about the truck and was pleasant to work with. I am from Cincinnati so it was about a 4 hour drive to the dealership. At first I was just a little nervous that when I got there the truck wouldn't have been as described or he wouldn't honor the price we talked about. This WAS NOT the case at all. The truck was just as he described with no problems what so ever and he honored the price he gave me on the phone. Truly a great business man. His mechanic was fixing a small leak in the radiator and accidentally broke the radiator. Knowing I had driven from Cincinnati, Dan dropped everything he was doing and focused his attention on putting a new radiator in the truck. Had it done within a few hours and had us on our way. Anytime I need a used car, this is the place I will be going. No questions asked. If you are considering buying a car from Solid Rock, don't hesitate or look any further. They will take care of you! Have had the truck for about a month now and I still absolutely love it. Thank You Dan and Silas for a truly great car buying experience! by Adam Miller | I had an amazing truck buying experience at solid rock auto group. I haven't had a drivers liscence in 7 years, which made truck shopping " a little hectic." Every employee is super nice & respectful. I did a lot of looking around and in the long run, solid rock auto group gave me what I wanted for what I wanted to pay. Even though I didn't have my income tax money yet, solid rock auto group was willing to work with me. My income tax is scheduled to be in my account next week sometime and I have been driving my new truck for about two weeks now. I Iove my new truck. Thank you so much for making all this possible, Solid Rock Auto Group. by Baylee Grenzow | Went in with a car issue and it was diagnosed and fixed by the next day! I had happy tears! They have such a great team at solid rock auto group! Happy customer, once again! by Kimberly Walter | Very nice vehicles and Dan and his son are awesome. Very good experience. If you are looking for a truck he has many and some very nice cars as well. by Kenny Chapman | Just bought a 2014 ford focus, Dan was extremely helpful and flexible with trying to get me into a car. Especially considering i needed help to establish credit, much appreciative to solid rock auto for all the great customer service,A+ for all that they do. by Lois Friend | Advise anyone to shop here. There service in terrific! by Tim Byler | Thank you very much.Ican't tell you how happy my daughter Baylee is with her escape. They got her financed on her own with no co-signer, and thats great for an 18 year old.Everyone nice and helpful and informative.No pushy greasy car salemen that pushes you into a car that you don't like and can't afford.Again thank you very much for helping my daughter and spending the extra time and being patient with her. by Kristin | Just purchased our 7 th car from solid rock! Got a great value on our trade in and an awesome deal on the car! by Jake & Maria | We purchased or first truck from Dan over 7 years ago then we traded it in in our second then agin purchased our third and now we just bought our fourth truck!! LOVE how friendly it is here and love that it is family owned!! We always are able to find the vehicle we are looking for and it is always a fast and easy process!! Thanks again now please find me the mustang I want!! by Kim H | We went to look at a used truck at Solid Rock Auto Group. We weren't really expecting much since most dealers make their used vehicles sound better than they are, but this truck was nicer than we thought it would be. A pleasant surprise! As we questioned things about the truck, the mechanic was right there to talk to and try to fix small things we weren't sure about. The owner came out and we talked with him, too. Very nice people to deal with. We bought the truck and drove it home that day! Thank you!! by Anthony Parrino | I got my first pick up truck from solid rock auto and it was a good ranger it was a nice little truck. Few years later we went down to solid rock and they had a kx 100 dirt bike out front for sale and we stopped and talked to Dan and we made a deal, also a great bike still runs strong. Just last week I traded in the ranger for a f150 down at solid rock, I love my new truck it drives nice and its a really nice truck, it does have a small transmission leak but they are fixing it tomorrow. Out of those three things that we have purchased from solid rock auto the paper work went smoothly and the days I went to see if I wanted to buy it and see if the price was right I was able to drive it home that same day. Dan was even nice enough to stay a little past closing hours to get the paper work done and so I can drive it home that evening. by Dustyn Kessler | OWNER WAS OVERALL A GREAT. WORKS WITH YOU TO MAKE SURE YOUR PURCHASE IS WHAT YOU CAME TO BUY. WORKS WITH YOU IF THERE IS OTHER THINGS THAT NEED TO BE DONE TO THE CAR IF IT IS NOT 100% READY TO LEAVE THE LOT. WOULD COME BACK IF NEED BE. by Rose | Really nice management, had no problem setting up and appointment. Good clean car and a fair price. by Debby | Was looking for a car for my daughter. Found this one and drove it, like it and ended up buying it. Was a good experience from the time I got there to I left with keys in hand. by Dennis | This is our second used car purchase, First time with Solid Rock Auto Group. Got a great deal for the used car. There were a few minor issues we had before deciding to purchase. And after dealing with our first car we were unsure to make the decision of purchasing this one. But Dan made us feel comfortable and confident by fixing the issues we had and walking us through the process of making the deal. Hopefully things will continue to go good and we will be back to make another purchase. by Shannon Ely | I bought a ford focus from Solid Rock a few months ago and it broke down, but the guys here at Solid Rock treated me and my husband like family and didn't even charge us for repairs! If you are looking for a car definitely come check these guys out!! The service here can't be beat. I have been to tons of car dealerships in my lifetime and I have never been treated like I was treated at Solid Rock. The guys really worked hard to get our car fixed, but thats not all. Even when we were buying the car he made sure that he explained everything and was honest about every step of the process!! My husband and I will be coming back to Solid Rock for years to come!! Great Job guys!!!! by Kim | Would not go anywhere else to buy a car-Honest, helpful, family business. They listen to your needs and go above and beyond to get you into a vehicle just right for you! They take all the stress out of buying a car. Save yourself any headaches and stress-go see Dan or Silas first!! by Momof6kids | This is the third car in the last few years we have purchased for our family. Can't say enough great stuff about this dealer. Walk in within no time you've picked a totally reasonably price car. No waiting. I always find something exactly what I need an in less than an hour have bought myself a car. Fast, great inventory and friendly service! by Alec | I had never heard of Solid Rock Auto Group until I searched to find my Malibu Maxx SS on cars.com. I live almost 2 hours away from Solid Rock but after looking at the photos they posted of the vehicle and reading reviews, a 2 hour drive felt worth it to me. Dan and I talked over the phone several times before I actually went to look at the vehicle so I could be educated and confident enough to make that drive to look at a car. Once I drove to Solid Rock, I closely inspected and test drove my Malibu and everything looked clean and the vehicle operated flawlessly. The car had obviously been very well cleaned, it almost felt like I was back in 2006 buying the car brand new. Even everything visible under the hood had been well cleaned and polished. I immediately knew this was the car for me and after only sitting down for less than an hour, I had the keys in my hand and I drove the car home. The staff was all very friendly and gave off the feeling of a professional, efficiently operated family business. Dan was flexible and understanding to my situation and went above and beyond to meet my needs. I would definitely recommend doing business with Solid Rock Auto Group. by Lisa P| I had an amazing and pleasant experience. The owner and his son were very personable and friendly. I was not pressured and not talked down to. I was treated with respect and their friendly and sunny disposition made the car buying experience very memorable. I proudly recommend this dealership. Their lot was full of clean cars and it was clear of snow. The inside office was very warm and welcoming. I really cant say enough GOOD things about this place. by Dan Hicks | I am a little late writing this review, but this dealerships is awesome!! Throughout the whole process I have been taken care of extremely well!! They did not have a chance to look this truck over a whole lot because I bought it almost as fast as they got it to their dealership. After taking it home I recognized some problems with the truck. I bought the truck as in and they did not have to help me, but they did!!!! They brought me another truck to drive while they took the truck that I bought back to the dealership. They fixed everything wrong with the truck, and I didn't have to pay a cent!! It was awesome! You should definitely buy your next vehicle here! They are awesome!! by Gail | Dan the owner was great he hooked us up it was a quick process I'm very happy his son was great too they really work with you. by Ronnie Wells | This is by far the single best experience I have ever had purchasing a vehicle. Dan made me truly feel like family! He answered every question and concern it had to the T. His customer service is hands down the best I've experienced. The vehicle purchased was an excellent purchase and in like new condition! I was like a kid leaving that day. Not only did he check on me days and weeks following I have become accustomed to a random call ever so often. Not to my surprise they weren't sales calls! I have developed a life long relationship with him and plan on not only purchasing there again but visiting just because of the environment! Dan thank you for making car buying a fun and happy experience again! by Sarah & Jimmy H | This is the 2nd vehicle we have bought from them and would highly recommend them. Very quick communication, very fast and easy purchase, and they don't pressure you into anything like most dealerships do. We drive 5 hours round trip to buy a vehicle from Dan. The car we recently bought had an issue with a recalled part, we brought it back and they put a new part in. When we got back home it was doing it again, so they sent someone to our house 2 1/2 hours away with a loaner vehicle and took ours to a ford dealership to get the problem fixed. Very satisfied with their customer service! Definitely look into Solid Rock when buying your next vehicle! by Krysta H | It was a really good buying experience, had a great vehicle trade-in and really quick service would really recommend anyone to come in and buy a vehicle instead of going to a car dealership. by Stacy Damko | Just bought my son a car from Solid Rock, which is the fourth car we have bought from Dan. He and his staff is exceptional! Fair, Kind, and not your normal USED CAR SALESMAN!!! They care about their community and the people they serve!!! We will continue to purchase our cars there!! by John Lincicome | I can't thank Solid Rock Auto Group enough for helping me purchase my vehicle. I just bought my second vehicle from them and will continue to buy more over the years! I drove a total of 5 hours to get the truck and I couldn't be more happy! They actually care about the customer and their satisfaction. I really encourage anyone to go through them. All the guys are really easy to work with and willing to work with anyone! Thanks Dan and all the guys at Solid Rock Auto Group!!!!!!!!!!!!!! by Chris Bailey | I bought a car off of Solid Rock Auto Group and it was a pleasure working with Dan. The buying process was easy and he explained it very well. I have not had any problems with the vehicle that I purchased. I would recommend anyone to Solid Rock Auto Group!!!! by Paul Carroll | Great!! I came in looking for a used vehicle and i had been to several other dealers and NONE of them were willing to work with me or help, Dan was super friendly and made me feel welcome I will be back!! by Karie Brown | This was my third vehicle purchase from Solid Rock. Love the customer service and would not hesitate when I am need of a fourth vehicle going back to them. by Allie Savili | It was worth the drive from Akron to check out Solid Rock Auto Group.This was my first time buying a car by myself. Being young and female, I was concerned about being pressured into making a purchase, but Dan made me feel very comfortable. I found a few issues with my vehicle that weren't specifically covered in the warranty, and was able to bring my car back to the dealership to have said issues corrected promptly. If you want to avoid the typical "sleezy" salesman, then I would recommend Solid Rock! He was flexible enough to help my stay within my budget and I feel truly satisfied with the whole experience. Really, though, I wish I could leave a 6-star rating! by Christophoer Sturm | Great experience with them, I went in expecting the same outcome I have gotten from other car dealerships but i ended up walking out with a new car. They are very helpful and answered every question I asked. I highly recommend going here, great customer service and very friendly. by Shannon Ely | Dan was so helpful to my husband and I while purchasing a car from him. He is very honest, and I have never been to a dealership that was so nice and helpful!! I definitely will be purchasing more vehicles from him in the future! You have to come here if you want reasonable prices and five star service!!!! by Josh Dean | I am very pleased with the service I received at the dealership dan and silas were very helpful and helped me get into the car I needed rather then what I thought I wanted. they have a very nice facility and a LARGE selection of cars I personally have bought 3 vehicles from solid rock auto group and have been very satisfied with every one of them. Thank you Dan again!!! by Norene Hosler | Purchased a car from them today. Had a great experience and will definitely return back when the need arises and would highly recommend them to anyone we know looking for a great used car. by Jared Bramlett | one of the greatest experiences buying a car ever!!! no pressure at all never hid anything very up front. love the excursion. it was just as described maybe even better thanks again guys. will buy from again. by Daniel Hicks | I am a little late writing this review, but this dealerships is awesome!! Throughout the whole process I have been taken care of extremely well!! They did not have a chance to look this truck over a whole lot because I bought it almost as fast as they got it to their dealership. After taking it home I recognized some problems with the truck. I bought the truck as in and they did not have to help me, but they did!!!! They brought me another truck to drive while they took the truck that I bought back to the dealership. They fixed everything wrong with the truck, and I didn't have to pay a cent!! It was awesome! You should definitely buy your next vehicle here! They are awesome!!! by Sarah Hughes | This is the 2nd vehicle we have bought from them and would highly recommend them. Very quick communication, very fast and easy purchase, and they don't pressure you into anything like most dealerships do. We drive 5 hours round trip to buy a vehicle from Dan. The car we recently bought had an issue with a recalled part, we brought it back and they put a new part in. When we got back home it was doing it again, so they sent someone to our house 2 1/2 hours away with a loaner vehicle and took our new one to a ford dealership to get the problem fixed. Very satisfied with their customer service! Definitely look into Solid Rock when buying your next vehicle! by Daniel Leonard | I have to say I loved the transaction at Solid Rock Auto Group for our Honda Pilot. Dan was very helpful and flexible with the price. He let us take our time as we examined, test drove, and considered the vehicle. I will definitely be looking to get another car from him when the time comes. Thanks Dan for all your help. by Mark Salsgiver | ruly, I can not say enough nice things about my purchase from Dan and Silas. Both are honest, up-front fellows and the description of my '08 Ford F-150 was spot-on. Had a little hiccup (and I mean LITTLE) that was addressed within HOURS of my purchase and they EXCEEDED my expectations, and I truly mean that. They stand by what they sell, they make sure that you are satisfied and follow-up on any problems. Thanks for giving me faith again in a nice family-owned used vehicle dealership! I have passed your dealership info along to other friends and family! Well worth the drive from the West Side of Cleveland to buy a car! Truly a REAL family-owned, honest dealer! Kudos!!! by Jared Damko | Bought a car today from Dan. What a great guy! Although I am only 19 he treated me with respect and helped me find the right car for me! He was fair, and honest and I can see why my family has gone back to him for their cars!!! I love my new (to me) car and will send anyone looking for one to Dan!!!! by Ronnie Wells | This is by far the single best experience I have ever had purchasing a vehicle. Dan made me truly feel like family! He answered every question and concern I had to the T. His customer service is hands down the best I've experienced. The vehicle purchased was an excellent purchase and in like new condition! I was like a kid leaving that day. Not only did he check on me days and weeks following I have become accustomed to a random call ever so often. Not to my surprise they weren't sales calls! I have developed a life long relationship with him and plan on not only purchasing there again but visiting just because of the environment! Dan thank you for making car buying a fun and happy experience again! by Cassie Wyatt | Amazing transaction! My husband and I have always dreaded the new car buying process...until now!! Dan was upfront, honest, friendly and knowlwdgeable! His prices are realistic and transparent. He is definately NOT your typical used car salesman! We drove 45 min to his dealership based on info from his website and we are sooo glad we did! We couldn't be happier with our purchase and happliy recommend Solid Rock Auto Group to our friends and family! by Michael Coontz | Some of the best people you will ever meet up at Solid Rock. Excellent service, outstanding vehicles, and they make you feel at home. These guys have helped me buy several vehicles from them over the past several years. The customer service just keeps gettin better every time i return. All around cant beat this place!!! by Randall Roper | My experience at solid rock auto was extremely enjoyable. The staff was knowledgeable and very helpful. I purchased a 2008 chevy impala and I have had it for 6 months and have had no problems. This is the 6th car I have bought from Dan and I intend to buy my all my cars, in the future, from Solid Rock. Thanks Dan and staff at Solid Rock. Keep up the good work. by Giai Nguyen | I purchased a Lexus two years ago from Solid Rock Auto Group and had a great experience. Due to the positive interactions I had with Dan, I just bought another vehicle from him, a Subaru. Dan does his best to work with me and answer all my questions. If I encounter an issue with the vehicle, Dan is more than happy to help me figure out what the problem is and how to go about fixing it. I recommend Solid Rock Auto Group to anyone that is looking for a vehicle. Thanks Dan! I felt compelled to write this testimonial after buying my 2011 Edge from Dan and Silas. Being in sales for over 25 years I really have seen it all! its normally a stressful experience at best when buying a used car from anyone. I have to say that from the first conversation I had with Dan at Solid Rock I felt comfortable. I asked questions about the Edge I was interested in and he truly just anwered them, no pressure, no hype about the car, just a truthful response to every question I had. I live 5 hours from Solid Rock and really had no intention of doing business with them. after an hour on the phone I had no reservations about the drive time to come and just "look" at the car. Dan really undersold the Edge on the phone. After an hour test drive I got shook Dan and Silas's hand and bought the car, what an easy deal! i recommend Solid Rock to anyone, real pleasure doing business with them, this is a great family business! Pete from Port Huron Mi. by BOB BRANNEN from MANTUA OHIO | August 2, 2014 I HAD A GREAT EXPERIENCE AT SOLID ROCK AUTO GROUP. SALES STAFF WAS VERY FRIENDLY AND HELPFUL. PRICING OF THIER AUTO INVENTORY WAS VERY GOOD. I WAS IN AND OUT AFTER PICKING A TRUCK OUT IN A HOUR. I WILL SEND EVERYONE I KNOW THAT IS LOOKING FOR A CAR/TRUCK TO SOILD AUOT GROUP. by Bobbie Jean from garrettsville, ohio | July 17, 2014 I bought my car from Solid Rock a few months ago; got a great deal; and had a wonderful experience with the whole transaction. I would recommend Solid Rock to anyone needing good service. Everyone is very helpful and will always come here for any service that my car needs. by Tim LaCour from Akron, OH | August 2, 2014 While off the beaten path, the drive was well worth it! I found them to be more professional, courteous and accommodating than the majority of dealerships in the surrounding inner city area. They have a large selection from luxury cars to the heavy duty pick-up. Having purchased a wonderful car at a fair price, I would gladly do business with them again bypassing the dealerships in Akron and heading straight for the country. by Josh from Garrettsville Ohio | August 5, 2014 Clean, friendly, easy to deal with. It is a great place to buy a car. I would highly recommend coming here. by TheNewlyweds from Geauga County, OH | August 4, 2014 Silas was great to work with. Up front and courteous. He didn't pressure us to buy anything as some salesmen would. We really appreciated finding a great car at a great price. Would buy from them again. by zero from ravenna, OH | September 16, 2014 solid rock auto group was great through out the whole buying procedure. the sales associate was friendly, and straight forward. by Tony from Windham Ohio | September 11, 2014 Bought my first vehicle off them and it ran great the entire time. Just bought another and the service was excellent. by Dee Craig from Beaver Falls, PA | September 11, 2014 Solid Rock was very professional, I was here to buy a car for my son 1 1/2yrs ago and needed a new used car and Solid Rock our first choice. I would highly recommend Solid Rock for anyone looking to purchase a quality auto at a reasonable price. by Dave K. from Somewhere, OH | September 8, 2014 Everything went smooth, simple buying process, fast approval. Great service. At the end everything was Rock Solid. ***** by Beth d from Streetsboro, Ohio | August 30, 2014 Great place to buy used vehicle. Very professional, and courteous. No pressure when browsing lot. Pricing is fair. ***** by Stephen Beatty from Garrettsville Oh | August 11, 2014 Told them what we were looking for and they helped us out tremendously! We got what we wanted and are happy. Great place to buy used vehicle. Very professional, and courteous. No pressure when browsing lot. Pricing is fair. very helpful and friendly service, would recommend to anyone of my friends, very happy with the staff. I had a very good experience with Solid Rock. I was in a situation that I needed a car that same day and they were able to put me into a car that I could afford and was exactly what I was looking for. I would definitely return in the future and would recommend this place to anyone. Called for a reasonable reliable car for my college age daughter and the owner was very helpful gave great advice and helped me to choose the best option for her. I'm very happy with the service I received at Solid Rock!! After receiving the "run around" from a large Dealership we happened upon this place by accident we were surprised by friendly people found here. We will be back for our next car. The staff is up front on any and all questions and found time to even check for the little things for us. It has been a breath of fresh air dealing with this dealership and their caring attitude makes us want to recommend them to all we meet and have told many of our experience and will encourage anyone to come here first to avoid the heartache and headache of other places. They were very professional and accommodating! Excellent service. Spoke to Silas on the phone, great pricing compared to PA. Fast buying process. Clean facility. Thanks Solid Rock! the sales rep did an excellent job with us was very helpful and polite with us! we found solid rock to be business like and professional and had trucks in affordable prices thank you! 01/29/2014 Buying a vehicle couldn't have been easier than when I met with Dan! Upfront,honest, and friendly! He made it a fun expe...rience and that is the most important feeling when buying a new vehicle! Keep up the awesome work Dan! Josh Dean reviewed Solid Rock Auto Group. June 20 at 7:13pm Just bought my 3rd vehicle from Dan, fast easy deal he did everything he could to get me the deal I was looking for. If I ever need another vehicle solid rock auto will be my 1st stop! Thanks Dan for helping me trade in my 2 wheel drive Chevy and getting the loan approved for the new 4x4! It was fast and easy!! Thanks so much for getting me out of my minivan and into a gas saving sedan! !We live in Bolivar and would Not go anywhere else! !It is always enjoyable and easy! !See you in a couple months for Gordon!! 2002 VW JETTA Our car broke down and we were in need of a car bad. Dan got us in a car with a low down payment and in a car we could afford! Thanks so much we will be back!! 2002 Ford Explorer G.R. Newton Falls I needed and suv with lots of room and this explorer was super clean! Silas helped me and I was in and out and back on the road in no time! !You guys Rock at SOLID ROCK!! 2000 SATURN L 200 D Bounds My whole family has been getting cars from Dan for years so when mine finally broke my sister took me here to meet Dan. It was fast and easy and now on can keep doing all the running I need to do!! D Stursa 2/21/14 WE drove from Columbus to a dealer in Cleveland first and thought we were never going to find a car we could like and trust. We called Dan and he was very knowledgeable about his vehicles so we drove there and we were pleasantly surprised he had a very clean store and was not high pressure at all we were in and out in a hour!! 2001 Dodge RAM 2500 B.H. WV My husband and I have been looking for a diesel to haul our trailer and we drove from West Virginia to get this one Dan worked with us on our trade and we love our truck!! Thanks please get my grand am a good home! We found Dan at solid rock on line and went to look at a Malibu and we instead purchased Green crv that is just what we needed. We traded in a Impalla and the transactions was easy and quick. I found this Gran Prix on the web page and went to look at it we did not have our refund but Dan held the car 2 weeks and now we have the gran prix. Thanks Again we will be back to get another car!! I wanted a low mileage car and had a little budget to work with and found this car and they were willing to work with me! !Silas and Dan were great thanks again GUYS! As a first time buyer, I was very nervous. Dan answered every question I had and confirmed all of the answers in person. He was very nice, helpful and provided me with an awesome first experience with buying a car. Buying experience was very good. Nice friendly people to deal with. I drove 176 miles one way to buy my truck off of Solid Rock and I will do it again on my next car. Wonderful place to do Business. Dan was great to work with. nothing was confusing or hiddin. just a honest straight up place to do business. I was very impressed with all the cars and trucks on the lot I could choose from Thanks Dan. I WILL BE BACK!!!! Thanks again Dan for taking care of local customers we are glad that after 5 years we have now bought yet another van from you at a great price!! See your son at the range soon!! We drove 3 hours to purchase a S10 from John and Dan. The Truck needed a couple things but they worked with me on the price and was on my way, No high pressure and really friendly. We drove 2 hours from Pa to get a new vehicle, we brought my trade in and Dan gave us a great trade in price and even got us Gas for the way home. We will be back!! One of the better experiences I've had with a dealership. Very courteous and understanding. Owner was very open and honest about everything and answered all questions without hesitation. This was probably one of the biggest decisions I've made in quite a while, yet I'm certain I will be back in the future. I couldn't be happier overall. Super easy to work with! Best interaction I've had in buying a truck from anyone or dealership. Completely satisfied with whole operation. Will be buying from here from now on! Purchased 2007 Ford Focus by John L. from Chardon, Ohio | June 24, 2013 Overall experience was excellent. Dan answered all my questions and even went beyond what I expected. Best price around. Will buy here again. The best experience and pricing. by countrygirl from Mantua, OH | June 21, 2013 Solid Rock Auto group helped me to replace a vehicle crushed by a tree. They stayed late when I called and told them I was on my way. They found a great car for me with low miles at a reasonable price. The were friendly and even made sure the car had a small repair made that they noticed before they let me take it off the lot. I have never had a better car buying experience. The facility is clean and nice. They inspect the cars well before putting them up for sale. I would recommend Solid Rock Auto Group to everyone looking for a nice car or truck at a nice price. Great customer service. Very Friendly! by Jeff from Garrettsville, Ohio | June 12, 2013 My experience with Solid Rock Auto Group was very pleasant. There was no stress put on by the dealer. He took his time and made sure everything was as easy as possible for us. I would absolutely recommend this dealership to a friend. 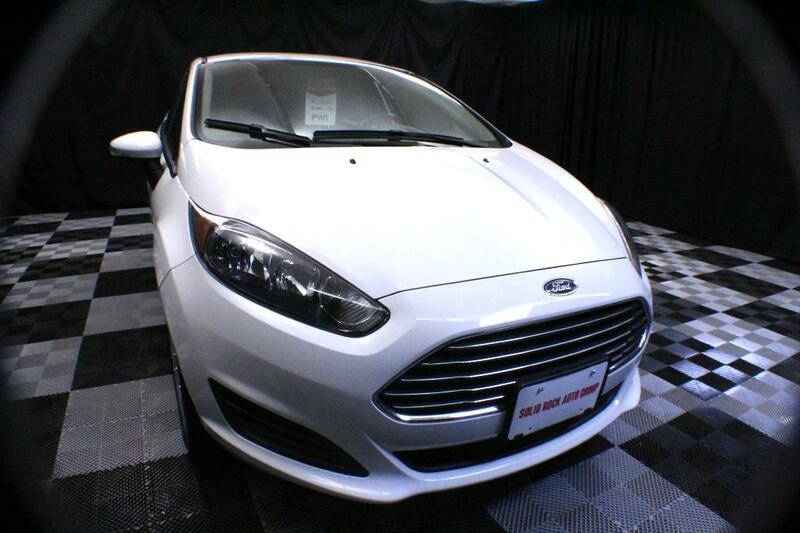 Great car buy by G Bugno from Fredonia PA | June 8, 2013 The overall experience was great. Dan was a friendly and honest salesman. I would buy another car from him and will let others know of the good deals and good quality of his stock. Bought a 2008 2500 Silverda off Solid Rock Auto by Dave from Pittsbugh PA | June 7, 2013 I bought a used 2008 2500 Silverdao "As IS" off Solid Rock Auto Group. I live about 150 mles from this dealership. I asked the sales person what happen if something mechanically goes wrong with vehicle on my way back home. the sales person said we stand by our cars. On my way home on turnpike the check engine light came. I contacted Solid Rock Auto Group the next day and he said take to my mechanic and see what it is. I dod and it has a bad catalytic converter was bad. Solid Rock Atuto Group did stand by the vehicle. They paid for the catalytic converter and labor. 2001 Mercury Cougar by Tom and Amy from Centerville Pa | June 7, 2013 Solid Rock Auto Group is a great place to buy a vehicle. Very prompt at returning calls and helping out with directions. Thanks for the great service! Nice People!! by radioman from Stow, Oh | May 20, 2013 I purchased a 2002 Ford Escape it has a few miles but they gave me a fair price. I was in and out in less than 30 minutes. they seem to be low pressure!! Had to drive from W.Va for a deal by Andrew M from Chester, W. Va | August 12, 2013 Looked online and the best deal was 2hr drive away. Once I arrived the car (300M) was upfront and ready to test out. Dan stuck by his sale price quoted on the phone!! No high pressure sales at this joint!! Good guys doing good sales! by Andrew A. from Middlefield | August 12, 2013 As a first time buyer the staff at Solid Rock Auto set me up with a fisrt time buyer program at a local credit unoin. Got my G6 with only 500 Down!! Thanks Dan!! Everyone was very halpful and knowlegable! by Kristin from Garrettsville, Ohio | August 2, 2013 This transaction was one of the smoothest I have had! I plan on making all of my future purchases at Solid Rock Auto Group! Just purchased 3rd vehicle by Kristen from Bolivar, OH | August 1, 2013 We just purchased our 3rd vehicle from Dan yesterday. We have always had great service and great used vehicles. He is a very straight forward dealer and is willing to find a car that fits YOUR needs not his. We drove an hour and a half to continue with his business! Good guys that makes an effort to do things right by Tim from Newton Falls | July 31, 2013 We ended up with an Escape we didn't even intialy plan on buying. On the test drive I found the sway bar links were worn and they didn't even quibble about fixing them before we picked it up. Then three day latter there was a problem with the battery, the one cell had drained all of it's acid out and the battery would not hold a charge. Knowing the vehicle was sold as-is I figured I'd still give them a call as I planed to be honest in this review. The next day they had a brand new battery for us. We've now had it for a little over a week and have taken it on a short trip as well. I believe it to be a great vehicle at what was a great price. Quick Response and Great Service by James from Hinckley Ohio | July 31, 2013 The service was great and so were the people I called in the evening and had a quick response they were able to get me approved and I am loving my Ford Power Stroke!!! Nice People Great Car by Erin K from Columbus, Oh | July 27, 2013 This is a quality dealership! I would definitely buy from again!! Just purchased '04 Chev Colorado by Jeff B. from Canton, OH | July 27, 2013 Just purchased an '04 Chevy Colorado, very pleased. I decided on buying the vehicle after one visit to Solid Rock Auto Group. The salesman worked hard to make sure all of our paperwork was prepared before we arrived to sign, took care of paperwork quickly and we were on our way! Thank you Solid Rock! great service by jen 'pocahotaus'" from Parkman, ohio | July 17, 2013 My experience at solid rock auto group was great. they were very friendly and willing to do what they could to get you in what you want. I would send anyone here in a heartbeat! Everyone needs to come here when wanting a vechicle! What a great place!!!! Bought my first car here! by jessiefaith2013 from Garrettsville, Ohio | July 5, 2013 This place is really friendly and I am so glad I came here, there isn't another place I would rather go. All the ads online are pitch perfect and everything is totally worth it. Great buy!!! Solid Rock Auto by Dave K from Youngstown OH | July 2, 2013 My wife and I purchased a vehicle from Solid Rock in 2011 - we were very happy with our experience. Fast forward to two years later, and we just bought a second car from Solid Rock. I'd definitely recommend their dealership to anyone looking for a reliable used vehicle. 2006 Highlander by Moruff from Washington DC | October 8, 2013 I was looking for a highlander that fit my budget this was asuper clean and the staff were very helpful especially Silas who was in the rain for over two hours helping the shipping company load my vehicle. 2007 Cobalt by Mary Masters from Kinsman OH | October 4, 2013 Very fair transaction, easy to find dealership, extremely courteous and would highly recommend for your used car needs!! Two car buyer! Excellent service! by Allen P. from Ravenna | October 3, 2013 I have now bought two cars from Solid Rock and both processes were very simple and fast. I've only owned two vehicles and both came from Solid Rock. Highly recommend this dealer! 2008 Subaru Forester by Rob & Jess from Akron, OH | October 1, 2013 Very pleasant experience. Vehicles priced fairly. Staff courteous and relatable. No pressure. Willing to work with us. Worth the Drive by Robin F. from Brookville Pa | September 28, 2013 We called and talked to Dan about the Jaguar before we made the 2 hour drive to come to Ohio. He took the time to walk around the car on the phone to describe the car and his description was spot on. We were able to purchase it a Great price and he was able to process all the bank paperwork in a timely manner. We will be Back!! Great Guy by zbasel from Ravenna, Ohio | September 28, 2013 Very up front about prices. Very friendly, and knowledgably! Worth a look! Civic SI by Zjordan from Cortland, OH | September 28, 2013 Great Dealer, Fair Prices, Easy to Work With, Knowledgeable!!!! So helpful and nice!! by Michelle S from Madison, Oh | September 25, 2013 I came out to buy a car from Dan and I am more than pleased with the car that I purchased. He was so helpful answering any and all questions that I had. Was patient and courteous showing me anything that I wanted to look at. If your looking for a new car I would absolutely recommend this place to anyone looking for a pre-owned vehicle. Great selection!!! by Tom P. from Twinsburg, Oh | September 23, 2013 I was looking for an Avalanche and found 3 to choose from at Solid Rock Auto. Drove mine home the next day!!!!! friendly good service by Leanne from Sharpsville, PA | September 20, 2013 The service was good and dan was friendly. I'm excited about my new car! 4th Vehicle From Dan by George from Windham Ohio | September 20, 2013 I have been dealing with Dan for 4 years now I wouldn't go anywhere else!! Just got a 2005 Dodge Dakota that I love. Thanks Again Dan Keep up the good work!! Great Service by Devl_80 from Cleveland, Ohio | September 19, 2013 I found the listing on Craig's List. It was very easy to get the information I was looking for. had great service. and would recommend them to a friends. Bought my first jeep by Nicholas stimpert` from warren ohio | September 16, 2013 Bought my first jeep I love it and this place is the best car dealership ive ever been to They treat you great have great customer service its just a great place. 07 ram purchase by brock from mt.gilead ohio | September 14, 2013 very good customer service. worked very well with me and my options on this vehicle. Honest by John Beard from Youngstown, OH | September 9, 2013 Solid deal on a solid car. Dan did exactly what he said he would do and took care of the small items that needed attention after I took delivery of the car. Will definitely refer others. Good Car by S. Abhishek from Hudson, Oh | September 9, 2013 I saw this car online and when I got to the dealership it was as nice as the pictures. The salesman was easy to deal with. Fast Easy Car Buying by TRoman from Garrettsville ,Ohio | September 5, 2013 Solid Rock made the car buying experience a fast easy & painless process! I recommend them to anyone looking for a quality used car! Found what I was looking for. by Sean from akron,oh | August 27, 2013 I was looking for something 4x4 and that was decent on fuel useage. Low an behold I found a jeep that was right in the price range. The car sales man was helpful and the selection more than thought. 2001 Tracker by Brian Sara from Mantua, Ohio | August 27, 2013 Solid Rock Auto was a pleasure to deal with! No Hassle, they let us look and make our choice of vehicle with no pressure. Great experience shopping for a used vehicle. Thanks. Great dealership to work with! by Tyler from Pittsburgh, PA | August 14, 2013 Highly recommend this dealership, pleasant to work with. Was in and out in no time. Will definitely do business again with them. Thanks a bunch! Thank for the professional service! by Scott Armstrong from Akron, OH | December 3, 2013 Staff was courteous, very response and came through on all the said that they would. Very satisfied. Thanks! Very friendly by Taylor Ward from Streetsboro | December 3, 2013 They fought to get me a beautiful Malibu approved and finally did it but when I decided that the ford escape was a better fit for me they said no problem and still worked with me, this is my first car buying expereince and I was very pleased. It was easy to, I went online and seen the cars I was interested in before I came to look at them, and everybody was so pleasant and answered all my questions. great deal! freindly! by mike hutch from geneva ohio | November 30, 2013 experience was very good. they were very professional and very helpful. answered any questions I had for him and knew a lot about the truck I purchased. I will be coming back in the future. 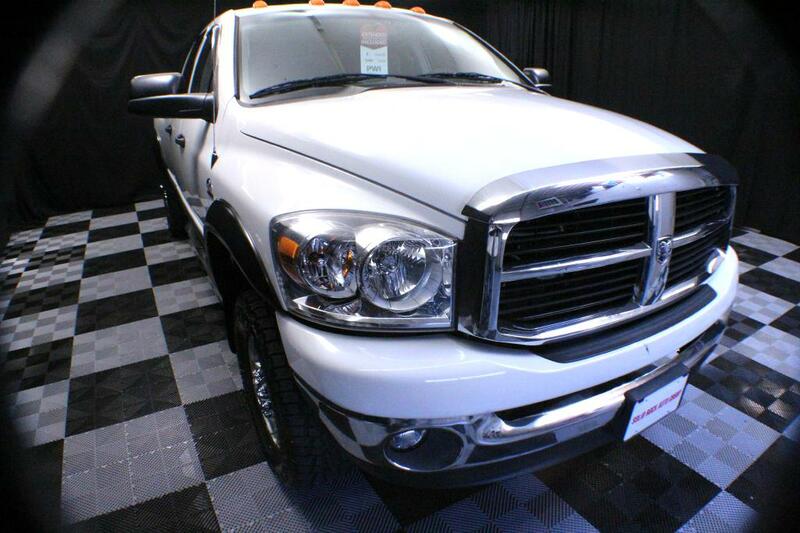 2004 Dodge Ram 2500 by Justin Perrine from Garrettsville, OH | November 25, 2013 Worked with Dan's son Silas. He worked very hard to get me financed on the vehicle of my choosing. Very cooperative and welcoming as well. Thanks for helping me get into my dream truck! 2003 Ford E-250 Cargo Van by Dan Gallagher from Garrettsville, Oh | November 25, 2013 Very helpful and great pricing. Would not have been able to find this kind of a deal on this vehicle anywhere else! 2 Cars by The Mullins from Streetsboro, Oh | November 16, 2013 We were recommended to come to Solid Rock by a co-worker. We drove several vehicles and finally settled on a Ranger and A Fusion. We are very impressed with how easy they made our buying experience. They even agreed to replace the radio in the Fusion. Thank You. Solid Rock Auto Group by Marika Pittinger from Garrettsville, Ohio | November 8, 2013 I am very please with buying cars here from Solid Rock Auto Group. Dan worked with me as much as he could in order for me to have a car. I am so grateful for everything he has done and helped me with. I have recommended people to come buy cars here. Their customer service has been excellent! I would definitely come back and buy future cars from Solid Rock Auto Group! Thank you for making the car buying process easy and exciting! 5.0 out of 5.0 2004 Chevy Silverado 2500 HD by Matt Greathouse from Garrettsville OHIO | November 4, 2013 great employees very nice keep up the good work. I am very happy with my new truck. 2003 Chevy TrailBlazer by AlyciaVictoria from Garrettsville, Oh | November 4, 2013 They were very nice and professional. They helped pick out a good safe SUV for me and were honest about everything with it. 2004 Jeep Liberty by Sherry from Pataskala, Ohio | October 23, 2013 Bought our 2004 Jeep Liberty at Solid Rock! One of the easiest auto purchases we have never experienced. Very pleasant and comfortable experience. No pressure to buy and very helpful! 5.0 out of 5.0 2001 Jeep Wrangler by Jeffrey Wolf from Cleveland, Ohio | October 22, 2013 Worked very hard to make sure that I got my dream car, a Jeep Wrangler. I would recommend anyone to come here that wants wonderful customer service. Drove over an hour away to deal with Dan, very great experience. Very friendly. Knowlengable. Highly recommend. by Ken A from West farmington Ohio | October 22, 2013 Very friendly. Knowlengable Highly recommend. Fixed problems quickly. Great service by Dean from garrettsville ohio | October 22, 2013 Buying a car from rock solid was vary simple. I got a good deal on a car too. Great Service. by Christine from Streetsboro, Ohio | October 18, 2013 Was very helpful and willing to work with me. I would recommend Solid Rock Auto Group to someone who needs help getting a car and back on there feet. Thanks so much for working with me I truly appreciate your help. really nice by Kim from garrettsivile | October 17, 2013 at first I came by a couple of months ago to look for a car came back because of how he dealt with us the first time he talked to us he was really nice, very clean cars, would completely suggest going here anytime! My car blew up! by Dan H from Mcdonald, Oh | October 17, 2013 My aunt had purchased a Jeep here and when my car blew up she said I should look at Solid Rock because they had good cars. wonderful excellent we are so happy!!!!!!!! Our vehicle runs like NEW!! SO THANKFUL! LOW prices, GREAT cars!! I'm taking my son there for his car, AND our next truck will be coming from them...HIGHLY recommended!!!!!!!! Save your time, energy, and money and go to this place!!! Thanks Solid Rock by Ryan L from Somewhere, Ohio | December 17, 2013 Looked around online for a Jeep. Stopped at this dealer and they were very easy to deal with. They did not pressure us. would come here again! Great service! by Gabrielle Fording from Lisbon, Ohio | December 16, 2013 Dan was very friendly and helpful! I love the all wheel drive on the car! Super excited to be safer! Solid Rock Auto Group by April from Orwell, Ohio | December 16, 2013 Dan runs his car lot like a very well oiled machine. Purchased a 4x4 2001 Explorer in the blizzard !! by Tim M from Garrettsville Ohio | December 14, 2013 I ride a Harley all summer and my winter vehicle just died on me I was able to get a great deal on explorer. Dan was very helpful and got me financing and I was on my way home. I will tell all my friends that Solid Rock is the place to go. 2000 F250 - Love our Truck by HollyP from Mantua, Oh | December 14, 2013 Walked in for the first time and felt right at home! Dan Ryan is a down to earth guy next door who will work with you to make you happy! My husband and I had a great experience with Dan! We were here less then 2 hours and drove home in our new truck! great people and clean buisness by Helen McCune from Windham,Ohio | December 13, 2013 they are really nice people to deal with and really care about their customers they are honest people and stand behind what they say that they will do. GOT MY FIRST CAR 2004 HONDA ELEMENT by Caleb from Cuyhoga Falls Ohio | December 12, 2013 I found this vehicle online and called to make an appointment to come out for a test drive. Dan was very friendly and made the purchase quick and easy I would tell anyone looking for a car that this place is it. Thanks for the hot chocolate too!! LOVE MY 2002 JEEP OVERLAND by David Hill from Lisbon Ohio | December 11, 2013 Great service, Dan was extremely helpful and bent over backwards to get us what we wanted. Very easy to work with. by JennSpencer from Andover, Ohio | October 30, 2013 This is the second time I've purchased a vehicle from Dan at Solid Rock. We were so impressed by his honesty, pricing and quality the first time, we didn't even look anywhere else when we needed to buy another car. We are so happy with the quality and cleanliness of the vehicles and facilities and Dan is friendly, helpful and honest. You can't go wrong at Solid Rock!